No trip to Japan would be complete without spending a few action-packed days exploring the nooks and crannies of what is Japan’s most diverse and accessible prefecture. Hakone is located in the mountainous far west of the Kanagawa Prefecture and is a popular tourist resort which attract both Japanese and international visitors due to its proximity to Mount Fuji, Yokohama and Tokyo. Most of the town is within the borders of the volcanically active Fuji-Hakone-Izu National Park. 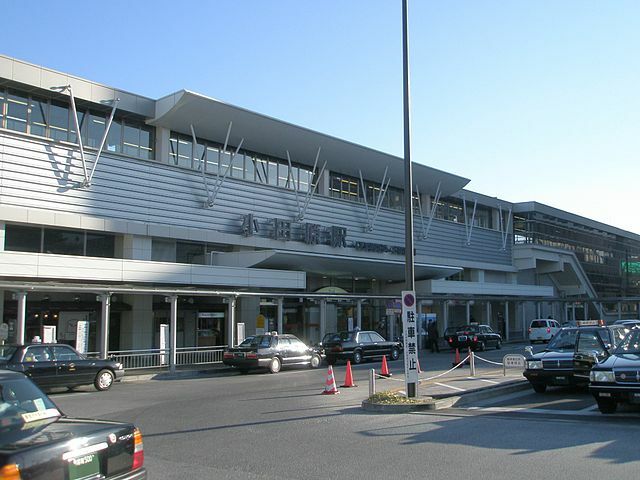 The city is decorated with natural scenery with Mount Fuji in its background, the beautiful Lake Ashinoko in its center and surrounded by mountains and hot springs which can all be easily accessed by several modes of transportation including trains, buses, cable cars, rope-ways and pleasure boats. A number of pleasure boats and ferries traverse the lake, providing scenic views for tourists and passengers. Several of the boats are inspired by the design of sailing warships. Visibility tends to be better during the colder seasons of the year than in summer, and in the early morning and late evening hours. 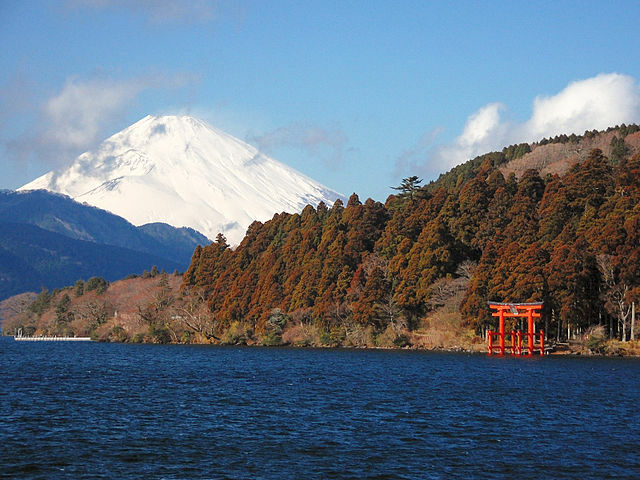 ​The Hakone Ropeway 30-minutes journey from Sounzan Station to Togendai Station, which nestles on the shore of Lake Ashi, allows visitors to take in such spectacular views as the crystal-clear blue waters of Lake Ashi, the rising volcanic fumes of Owakudani and the grandeur of Mount Fuji on a fine, sunny day. 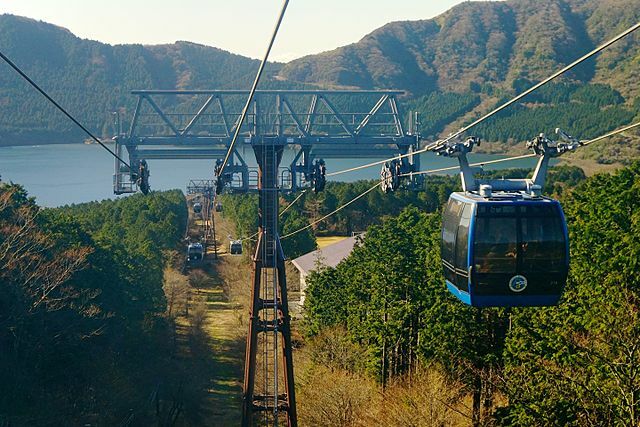 The Hakone Ropeway operates at approximately one-minute intervals and each car fits around 10 passengers. Owakudani is a volcanic valley with active Sulfur vents and hot springs. A short walking trail leads from the rope-way station into the volcanic zone to a number of steam vents and bubbling pools. 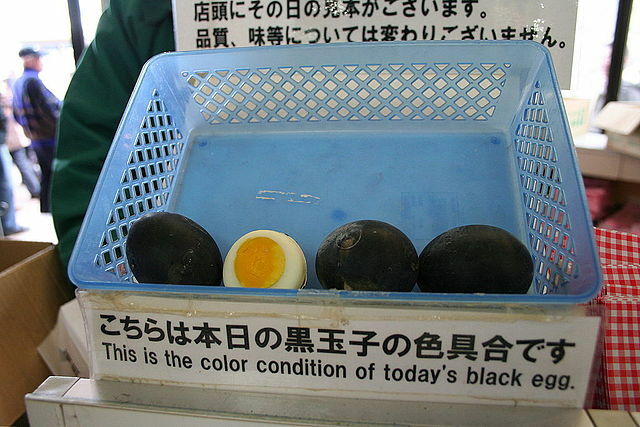 ​Here you can purchase Black Egg "Kuro-tamago", a local specialty of eggs hard-boiled in the hot springs. The boiled eggs turn black and smell slightly Sulfuric. 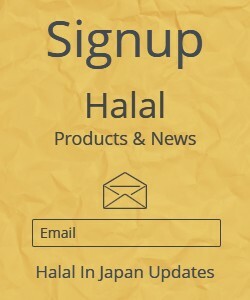 Consuming the eggs is said to increase longevity. Eating one is said to add seven years to your life. You may eat up to two and a half for up to seventeen and a half years, but eating a whole third is said to be highly unadvised. 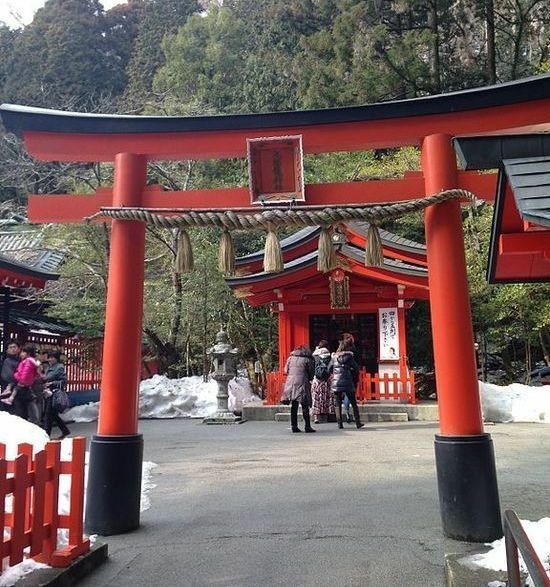 Hakone Jinja "Hakone Shrine", is a Shinto Shrine that stands at the foot of Mount Hakone along the shores of Lake Ashi. The buildings are hidden in the dense forest, but are well advertised by its huge Torii "gates", one standing prominently in the lake and two others over the main street of Moto-Hakone. ​A path leads from the Torii in Lake Ashi up a series of steps to the main building of the shrine, which sits peacefully among the tall trees. ​The shrine is beautiful throughout the year, and is particularly breathtaking when engulfed by the veil of mist. Besides the well-known red torii of the Hakone Shrine, in the Lake Ashi there is another, smaller torii, which belongs to the Kuzuryu Shrine. The shrine is surrounded by huge old trees. During the Nara period, a legend arose that the Nine-headed Dragon had settled in Lake Ashi in Hakone, and that it demanded a sacrifice. To appease the dragon, the villagers agreed to select a house by shooting a white-feathered arrow and seeing where it landed, then sacrificing the daughter of the house. A priest named Mankan cursed the dragon, and is said to have chained it to the Upside-down Cedar. 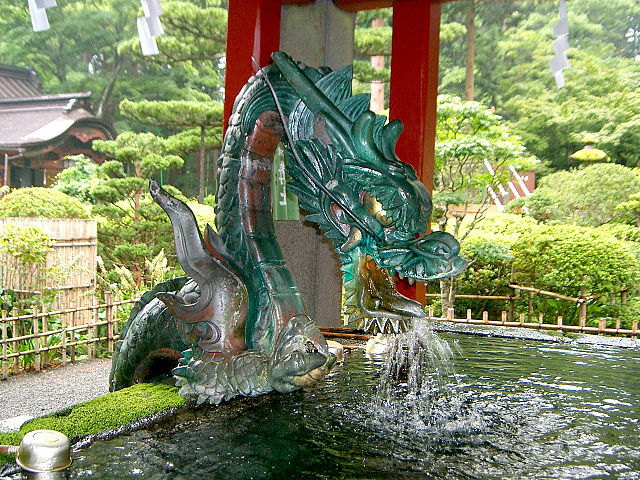 ​As a result of this legend, the dragon came to be worshiped as Kuzuryu Daimyojin "Great God Nine-Headed Dragon". 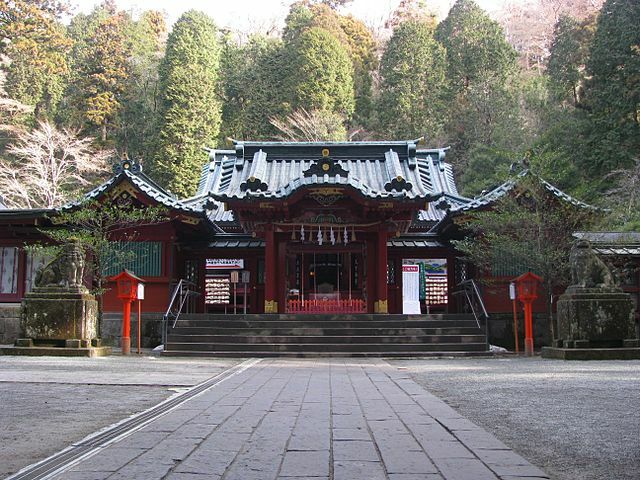 The more than 1,000-year-old shrine is dedicated to the god of the nearby lake. It started to attract singles after some pilgrims reported that their prayers for romance had been heard. With both men and women in Japan increasingly putting off marriage to pursue their careers, lovelorn Japanese in search of a partner need all the support they can get. Japanese single women visit the Kuzuryu Shrine, a famous divine match-making site to pray for love. 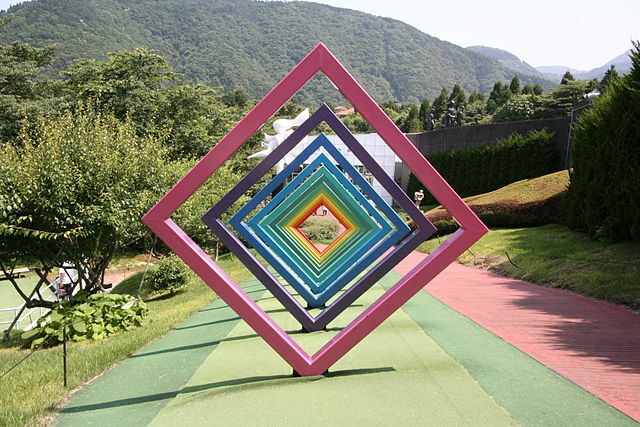 Hakone Open-Air Museum opened in 1969 as the first open-air art museum in Japan and has been displaying a wide variety of sculptures and artwork within a beautiful parkland setting. ​Constantly changing with the seasons, the spectacular ground is the permanent home for approximately 120 works by well-known modern and contemporary sculptors. 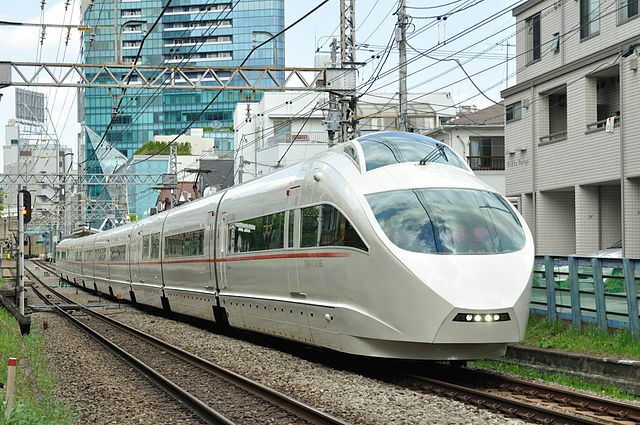 By Train - The fastest train on the Odakyu Line is the "Hakone Limited Express" train, which operates between Shinjuku Station and Hokone Yumoto Station, "the trip takes about 85 minutes". The slower "Odakyu Express" train, gets you to Odawara Station and requires one transfer "by train or bus" into Hakone area, "the trip takes about 120 minutes". 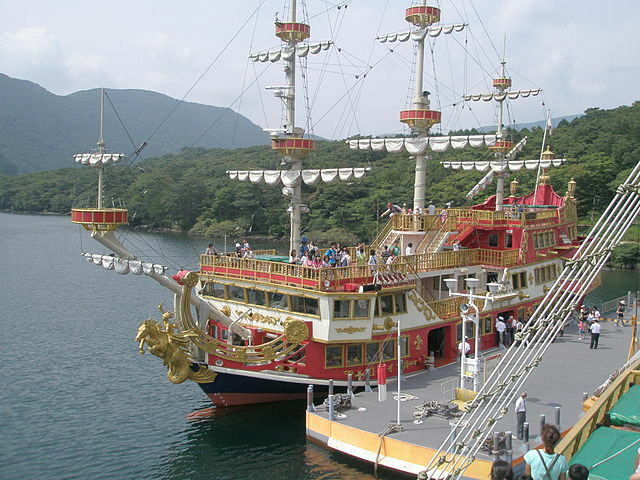 Odakyu also offers the Hakone Free Pass, which includes the round trip from Tokyo to Hakone and unlimited use of selected trains, cablecars, ropeways, boats and buses in the Hakone area. 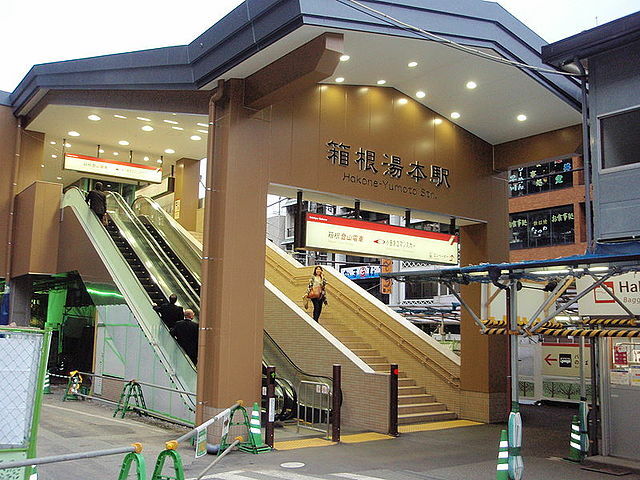 All trains make a pickup stop at Yokohama, while a few also stop at Shinagawa and Kawasaki Stations. From Yokohama Station take JR Tokaido Line to Odawara Station "53 minutes" then change to Hokone tozan Railway to Hokone Yumoto Station "13 minutes". ​You also have the option of boarding comfortable Green Car seats on regular JR commuter train runs. With JR Green Cars you can only get as far as Odawara Station, from where you’ll have to make one transfer "by train or bus" into Hakone area. Holders of the Japan Rail Pass can use these seats at no additional charge. By Bus - Odakyu Hakone Highway Bus operates every 30 minutes between Shinjuku Station and the Lake Ashi area in Hakone; the trip takes about 2 hours to 2 hours and half depending on the traffic condition. 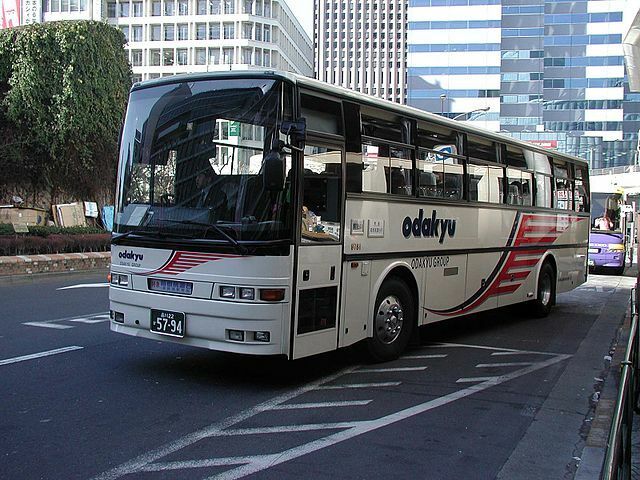 ​Yokohama also the trip takes about 2 hours to 2 hours and half depending on the traffic condition.